Welcome to Springsteen Sundays, a new weekly column devoted to exploring the wonderful world of Bruce Springsteen, my favorite musician and personal hero. New readers flocked to the site for my extensive Wrecking Ball coverage earlier this month, so I thought now was as good a time as ever to start discussing the Boss on a more consistent basis. The column will appear here every Sunday, and will cover whatever various and sundry Springsteen-related topics are on my mind at the time, from evaluations of classic albums to reviews of supplementary material to fun, goofy playlist projects. I thought I’d kick this new column off with a good old-fashioned Top-Ten List, giving you an idea of my tastes by ranking my Ten Favorite Bruce Springsteen Studio Albums. A simple topic, but I imposed two guidelines: First, I only ranked studio albums, no side releases like “Tracks” or live compilations. Second, I left off Wrecking Ball; I love the record as much if not more than several of the title on the list, but it’s not even a month old, and it would be unwise to assign it such a definitive spot alongside works I’ve had years to absorb. So without further ado, let’s kick off Springsteen Sundays with my Top Ten Favorite Albums. You can read the list after the jump…. 10. Greetings From Asbury Park, N.J. 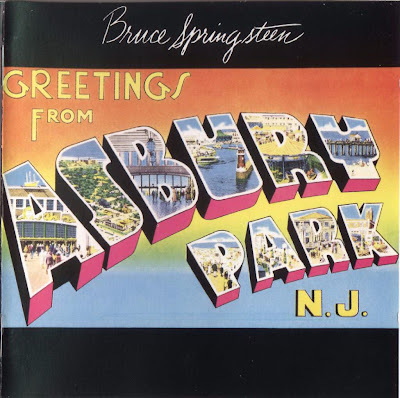 If the essence of joy could be captured in music, it would sound an awful lot like Bruce Springsteen’s debut studio album, Greetings from Asbury Park. Nine fantastic songs, written and performed with an infectious energy and passion, that collectively paint a vivid picture of Springsteen’s New Jersey adolescence. Some have criticized Bruce’s early lyrics for being too verbose, but that’s what I love about this album. Ken Emerson of Rolling Stone described it perfectly when the album came out, saying it “was like 'Subterranean Homesick Blues' played at 78 RPM, a typical five-minute track busting with more words than this review…” If that doesn’t sound like your thing, leave “Greetings” alone. If you want to hear lyrics matching the vivid imagery of Bob Dylan married to the brilliance of an early E-Street band, then “Greetings” is a treasure. And for the record, “Mary Queen of Arkansas” and “The Angel” are beautiful tracks. So there. In 2002, Bruce Springsteen asked Americans to tap into the unity caused by 9/11 and rise up above their anger and grief. That didn’t happen, and thus in 2007 we got Magic, an epic, furious portrait of one of the darkest times in American history (with more than a few tracks aimed directly at then-President George W. Bush). I say ‘portrait,’ because unlike some of Bruce’s other classics, the album isn’t structured to tell a linear, emotional story. It begins with a musical thesis, as Bruce’s works always do – “Is there anybody alive out there?” – and continues through ten more tracks exploring various aspects, concerns, and quandaries of contemporary America: Power; Greed; Death; Deceit; Ignorance; Morals; Love. If you were alive and aware in 2007, all the concepts of Magic were swimming around in your head; Bruce just put them to music. The result is a gripping rocker – the best modern studio recreation of the classic E-Street sound – that paints a vivid picture of what it felt like to be an American during a sad, tumultuous period. It is a record of our sins, angst, fears, and silence, a portrait that will stand the test of time to impart feelings and lessons from our lives onto the next generation. Unfortunately, Brendan O’Brien’s production is problematic. The soundstage is too flat, precise, and constrained, where Bruce and the Band usually sound better with more room to breathe, and that holds Magic back just a tad in my opinion. One day, when Magic hits a significant anniversary, some hotshot young sound mixer will come in and re-master the album from the ground up the way it should sound, and at that point, I think it will rise considerably in everyone’s estimation, including mine. I’m kind of glad I wasn’t alive in 1984 to have my opinion of Born in the USA tainted by the gargantuan pop hype machine that misinterpreted and underestimated so much of what this incredible album has to offer. After all, if your first exposure to “Dancing in the Dark” was watching Bruce dance with Courtney Cox, I imagine it was kind of hard to take the whole thing seriously. But I simply got to hear Born in the USA as I would any old album, and it really is a masterpiece, one that scales down big American issues to a personal, meaningful scale – with the help of some pretty badass Rock n’ Roll, of course, courtesy of an E-Street Band at the top of its game (this was their last album together for eighteen years, and it’s one hell of a send-off). And though the record’s pop sensibilities make it a real blast to listen to, don’t mistake that for a lack of lyrical depth: the title track may well be the angriest, most direct political statement Springsteen ever made (no matter how many morons read it differently), “Downbound Train” portrays the grief of financial hardship and isolation with incredible power, “Dancing in the Dark” is a hugely potent portrait of psychological lethargy, and “My Hometown” neatly encapsulates everything Springsteen’s music had to say up to this point. I could go on and on about each song; all told, the quality of the writing isn’t that far removed from Nebraska. Born in the USA just gets better every time I listen to it. I will always reject the argument that The River is bloated and unfocused. To my mind, nothing could be further from the truth. 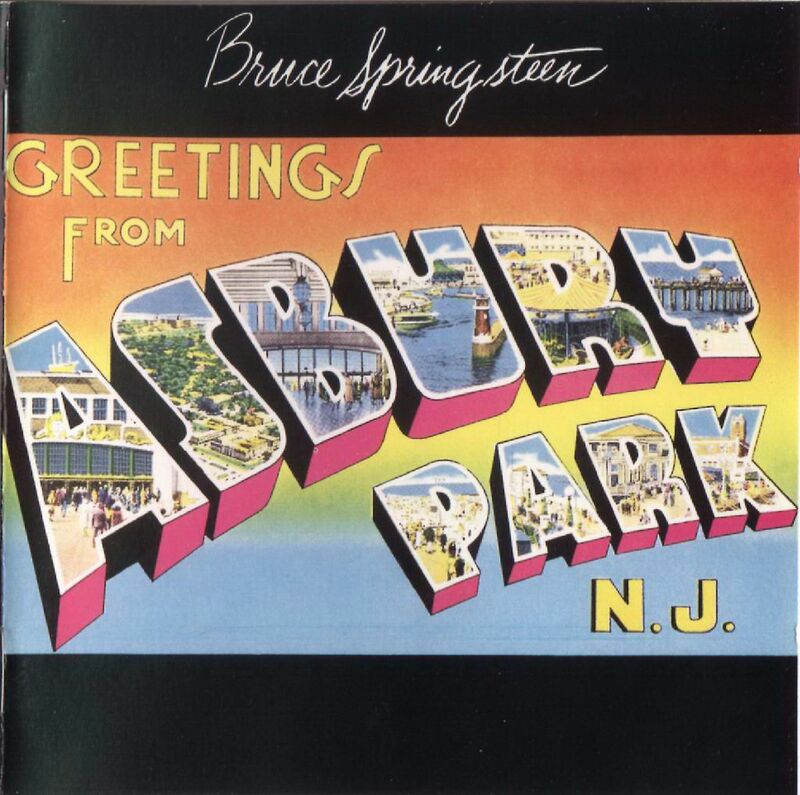 In the opening track, “The Ties That Bind,” Springsteen presents us with an option for healthy living: community or isolation, and his thesis is clear: “I would rather feel the hurt inside, yes I would darlin’/Than know the emptiness your heart must hide.” And nearly every song follows from there, exploring the pain of living with or without others. “Two Hearts,” “Out in the Street,” “I Wanna Marry You,” and “Drive All Night,” for instance, all focus on the desperate need for love and community, while “Independence Day,” “Hungry Heart,” “The River,” “Point Blank,” and especially “Stolen Car” speak to the pain one can feel around those we are closest to. Springsteen provides no easy answers or synthesis between these social extremes, but that doesn’t make the album unfocused. I’ll even defend the less-substantive rockers, like “Cadillac Ranch,” “Sherry Darling,” “Crush on You,” and “Ramrod.” Springsteen’s illustrating an image of community, and these tracks add color and detail to the album’s world. 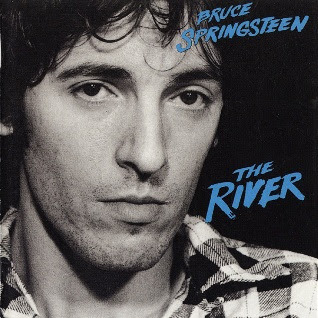 By tracing the thrills and challenges of living in society, The River is an intense listen, an emotional roller-coaster that, for me anyway, never fails to connect. It tackles the complexities of life through the power of Rock n’ Roll, and it does it brilliantly. But don’t take my word for it. Springsteen himself said it better than I ever could: "Rock and roll has always been this joy, this certain happiness that is in its way the most beautiful thing in life. But rock is also about hardness and coldness and being alone ... I finally got to the place where I realized life had paradoxes, a lot of them, and you've got to live with them (from Dave Marsh’s “Two Hearts” biography of Springsteen).” That, to me, is what The River is all about. 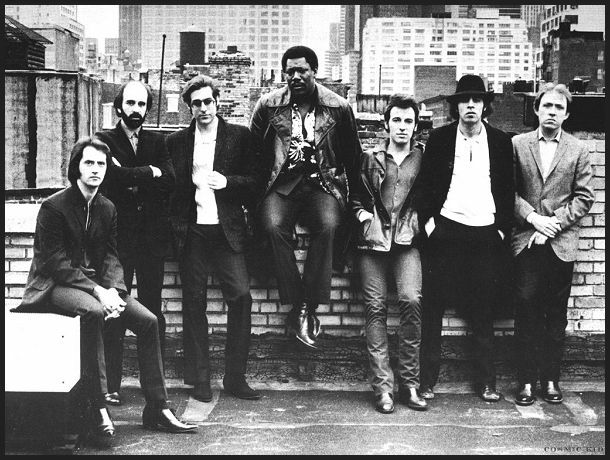 The album is also notable for the incredible performances by the E-Street Band, which at this point had learned to master their mesmerizing live sound in the studio. For pure E-Street awesomeness – Clarence blows my mind every couple of minutes on this record – you can’t beat The River. Some critics like to say The Ghost of Tom Joad and Devils and Dust are ‘sequels’ to Nebraska, and while they are fine records that share certain stylistic/thematic similarities, I’d say Tunnel of Love is the closest Springsteen has ever come to replicating the haunting lyrical power of his seminal homemade masterwork. The writing is just as sharp and concise, the characters just as richly realized, and the emotional impact just as immense. But the record’s biggest connection to Nebraska is that both are, at heart, about isolation – Tunnel of Love differs mainly by daring to suggest that even in something as ‘profound’ as marriage, we are no less alone. This is the most personal, piercing work of Springsteen’s career, 50 spellbinding minutes of a troubled man crying out for help; it leaves me an emotional wreck every time I hear it, but I relish the experience, because whether or not we choose to acknowledge them, the feelings Springsteen taps into are universal. The only other album I can think of that so bravely and intelligently tackles romantic decay is Blood on the Tracks, but I personally think this one’s got Dylan beat. Ranking all these albums is a precarious task, since my estimation of each record tends to change the more I listen. In particular, Shuffle tends to alternate between being my all-time favorite record and one of my all-time favorite records, and it was very hard to rank. Five seems like a good enough spot, though. It may not be the most substantive record in the discography, but to my mind, it’s easily the most magical. Music has the power to transport us to times and places different from our own, and on Shuffle, Bruce Springsteen takes us on a journey through the final days of his New Jersey adolescence. Through grand, Dylan-esque lyrics and a breathtakingly gorgeous soundscape, Springsteen and an early incarnation of the E-Street Band illustrate the hometown streets and characters that influenced so much of his (and their) later work. 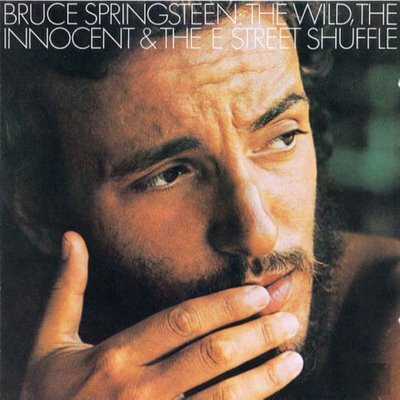 Shuffle is the sound of nostalgia, a fond farewell to the teenage life on the Boardwalk Springsteen had to leave behind to become a man; in short, the start to the incredible journey most would join in on with Born to Run. The album’s flawless second side – an overwhelmingly emotional symphony comprising “Incident on 57th Street,” “Rosalita,” and “New York City Serenade” – is probably my favorite stretch of music in the entire Springsteen catalogue. So layered, complex, and interpretative are the lyrics of Nebraska that it’s practically guaranteed the album gains more power with each subsequent listen. To compose one of the greatest artistic portraits of America’s dark side, Springsteen tapped into an inner-calm and a deep-seated darkness that elevated his songwriting to its harrowing peak. Nebraska is the elusive ‘Great-American-novel’ in musical form, with stories of sociopaths, criminals, children, fathers, suicide risks and good men forced to compromise, all of them driven or destroyed by “a meanness in this world.” Every song is a compelling masterwork, and the performances – captured as Demos on a TASCAM in Bruce’s living room – are the most intimate, haunting, and atmospheric of Springsteen’s career. Though Bruce has made three albums I personally like more than Nebraska, I don’t think there’s a better record in his discography. 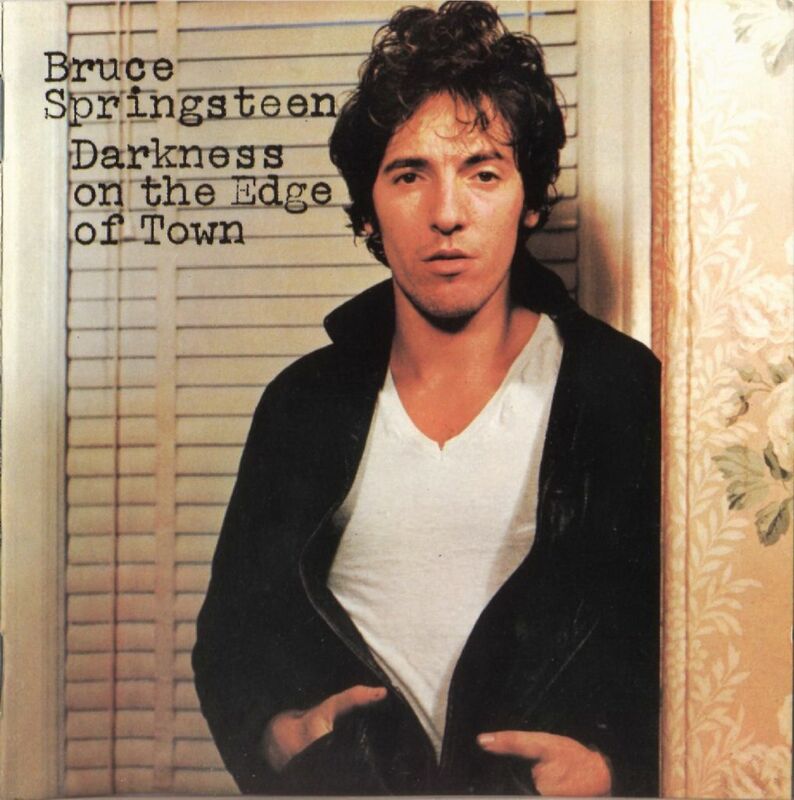 The first Springsteen album I ever heard; when the screen door slammed, I was hooked for life. Musically, lyrically, and emotionally, Born to Run is the quintessential Springsteen epic, a sweeping record of friendship, love, loss, hardship, and that desperate, insuppressible need to shatter one’s own status quo. Born to Run isn’t an album one listens to; it’s an album one feels, in every bone of one’s body, from the passion and splendor of the lyrics to the incredible performances and wall-of-sound production to…well, pretty much any moment Clarence appears, and there are a lot of them. It’s a tough call between this and The River, but I’m inclined to say that Born to Run was Clarence Clemons’ finest hour, if only for his career-defining solo in “Jungleland,” one of the most moving moments in Springsteen’s entire discography. 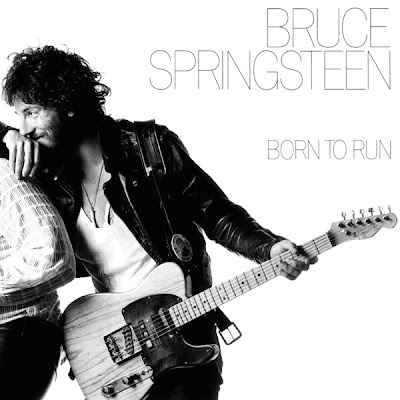 I’ve always said that Clarence took over when Bruce couldn’t express any more through words, and that’s why Clarence owns Born to Run the way he does. When the emotions are too immense for verse, it takes a Big Man to get them across. Speaking of emotions, sometimes you’ve just got to go with your heart when making a list, and when I strip away critical pretensions and simply look at which Springsteen records have had the biggest impact on me, The Rising comes in at number two. No matter how much I listen, the album continues to move and inspire me to a degree unrivaled by all but one of Bruce’s works. From the grief and destruction of the September 11th attacks, Springsteen found grace and beauty, and created one of the all-time greatest musical statements on life and death in the process. 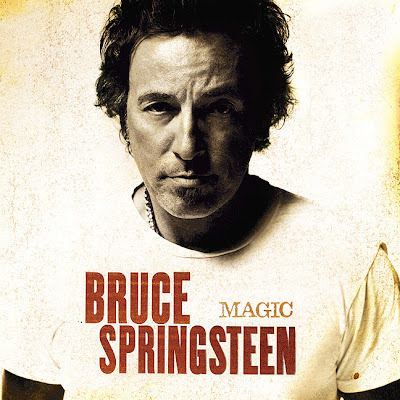 The album has many thematic interests, including loss, faith, unity, understanding, and perhaps most importantly, emotional healing, but Bruce synthesizes them into one complete artistic statement with some of the clearest writing of his career and a musical pallet running the gamut from Rock to Pop to Gospel and more. It’s a great showcase for the reunited E-Street Band, their sound having subtly changed due to the presence of three guitarists (Bruce, Nils, and Steve) and the addition of violinist Soozie Tyrell (who defines this album’s sound much the same way Clarence did on Born to Run). 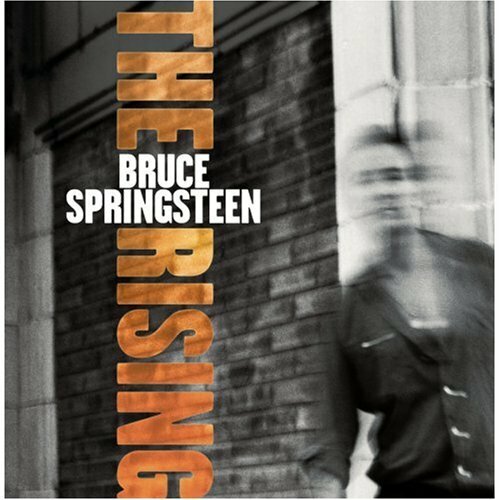 Though The Rising is admittedly a tad bloated in the middle, the length and scope add weight to the incredibly powerful emotional crescendo Springsteen builds to in the last five tracks: “Mary’s Place,” “You’re Missing,” “The Rising,” “Paradise,” and “My City of Ruins” are as good a stretch of music found on any Springsteen record, with “My City of Ruins” distinguished as my favorite ending-song in the whole discography. Though The Rising is a product of 9/11, its three-dimensional portrait of grief and recovery is so universal and powerful that it will stand the test of time, long after Bruce and all others who lived through the attacks are gone. I love Darkness because it’s the best damn set of songs Bruce ever wrote and the band ever laid down, and because the whole is so much more than the sum of its parts. Of course, the same can be said of Bruce’s entire body of work, and I look forward to exploring it all in-depth in subsequent Springsteen Sundays. See you there. Thanks for sharing, be back next sunday for sure!!!! I couldn't be more excited to see that you're going to write about Springsteen every Sunday! I absolutely loved your "Wrecking Ball" commentary, and I love your enthusiasm and willingness to share it through such well thought out, passionate discourse. I've only read your commentary on "Greetings" so far ("So there" gave me a good laugh), but rest assured I'll eagerly be reading the rest of the article as well as whatever else you come up with every week. It's wonderful to have someone young, intelligent, opinionated, and all fired up to share his thoughts on my favorite musician. Haha, well thank you very much Bobbi (and other Anonymous commentator). I know I'm on an island about "The Angel," but we all have one of those, don't we? (: I think that will be an upcoming column - the Bruce songs I like that nobody else does. I already told you how much I did really appreciate your disamine of Wrecking Ball, by far the best music review I've ever read (maybe not the most objective...) and I'm very happy to know you'll not dedicate all your time, cleverness and passion to some old TV series or films I'll never see! But, as usually I hate this kind of discussion, I don't say anything about MY top ten. Almost anything... I really find you put The Rising in the wrong place, but probably I'd think different if I was american.